Gutters and roofing are all that we do, so you can trust our experts to use the highest quality materials and the most professional tools in the industry. From professional repairs to gutter selection assistance to our expert installations, the entire team at Kirkwood Roofing is dedicated to providing you with superior service. 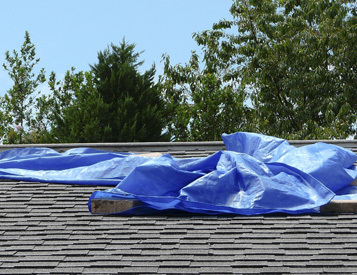 We have over 20 years of experience with the area’s gutters and can be of assistance to your home, too! Safeguard your home or business by contacting the experts at Kirkwood Roofing today for all of your gutter needs. Your gutters serve as more than just an attractive trim around your roof edges. While the aesthetics of your gutters enhance the visual appeal of your home or building, their real purpose is to catch the roof runoff and channel it safely away from your foundation. 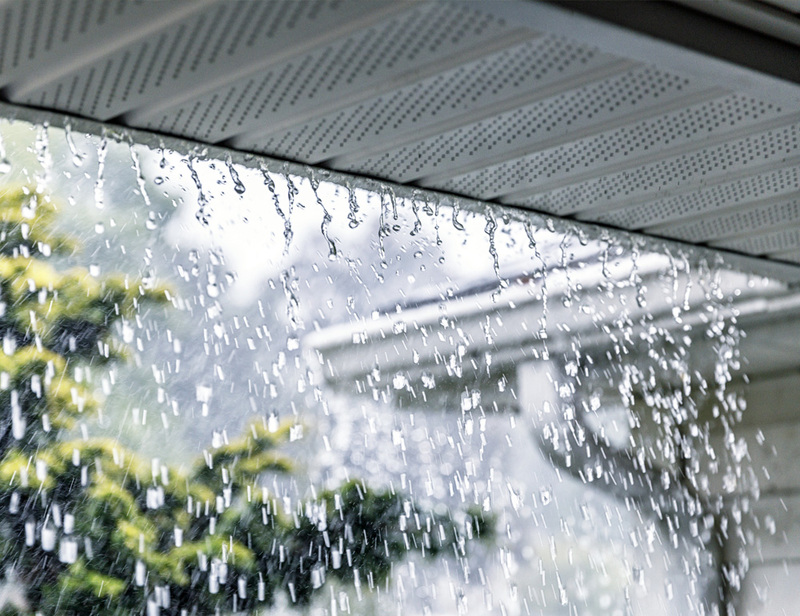 With the monsoon rain and heavy snowfall we get in St. Louis, you need gutters that perform effectively. Severe weather and unstable ladders can make gutter maintenance very challenging and unsafe. When gutters are not properly cleaned, problems often arise, including a surplus of water entering your home and damaging its very foundation. Kirkwood Roofing offers a full range of gutter services that help sustain the structural and aesthetic aspects of your home or business. We use only state-of-the-art materials, provide quality workmanship and offer affordable solutions to solve your home’s or business’s drainage problems. With our own roll-forming machines, we can produce perfect seamless gutters in widths of five or six inches. Additionally, with a wide range of factory-finished colors at your disposal, you can find the perfect hue to trim your home in style. Unlike many roofing companies, Kirkwood Roofing has the knowledge and experience in repairing the mortar on your chimney cap and brickwork. Often times, leaks around fireplaces happen from separations within the chimney concrete. Rather than call a mason, trust the experts at Kirkwood Roofing! We can perform tuckpointing in addition to our other roofing and gutter services to ensure that your home remains in pristine condition. Tuckpointing is the process of removing old, deteriorating mortar from the joints of bricks or fascia rocks and refilling with fresh new mortar. Often, when chimneys begin to age, the flashing metal embedded into the mortar loosens enough for the wind to lodge a finger beneath it and bend or remove it altogether. Once that happens, leaks are all but guaranteed. Fear not, our tuckpointing services can stop that process before it becomes a leak! Our quality and expertise in tuckpointing gives us an understanding of how to fix any decays and cracks that come your roof’s way. Brick chimneys last and have less of a maintenance need than wood-framed chases and chimney chases with decorative rock fascia. Yet, Mother Nature can eventually destroy anything over time. When the mortar on your chimney and chimney cap decays or cracks, you can begin to experience leaks into your fireplace. While applying caulking to the cracks can serve as a temporary emergency repair, caulking separates rapidly and won’t hold up well for any length of time. 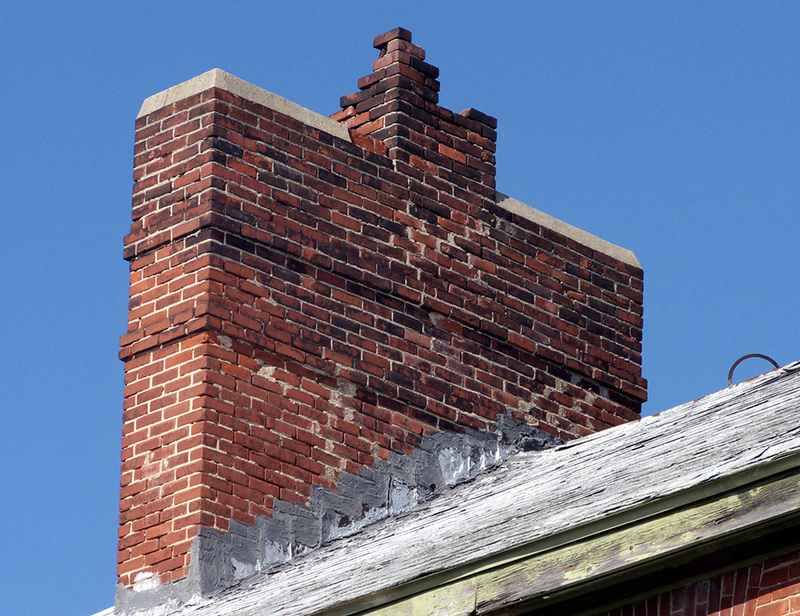 At Kirkwood Roofing, we have experts on hand to assess any situation and provide high-quality chimney cap repair services in your area! If you're looking to replace your gutters, have them repaired or seasonally cleaned, contact Kirkwood Roofing today!